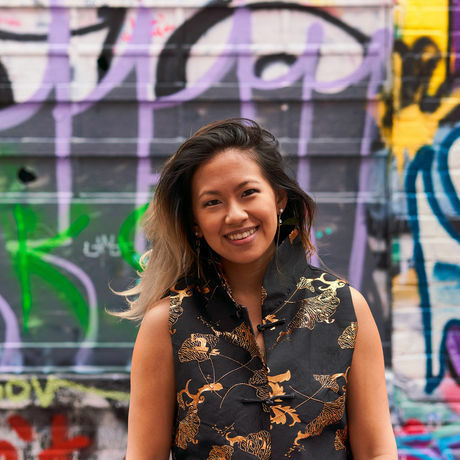 Steph Hsu is one of the organizers of The Chinatown Collective, who’s mission is to amplify the voices and experiences of Baltimore based Asian American Pacific Islander (AAPI) artists, entrepreneurs, and creatives. The Chinatown Collective highlights the history of AAPI stories in Baltimore to activate a new generation of thought leaders and community organizers through community based events and resources. Alpha Graphics has distinguished itself as the go-to print shop in Baltimore for more than four decades. We have a rich history in Charm City providing the highest quality customer service and product satisfaction. We are not a part of the franchise and we pride ourselves on being locally-owned and solely owned by a woman. Cedar & Cotton is a new & vintage home furnishings company based in Southwest Baltimore City. We expertly curate, refurbish, and handcraft an eclectic mix of furniture, accessories & lighting. Our signature style mixes traditional with the unexpected, and often incorporates themes from nature, African prints, and metallic accents. Local Color Flowers is a Baltimore-based floral design business. We create personalized arrangements and bouquets from fresh, seasonal, and sustainable flowers cultivated by local specialty growers. We are committed to responsible use of resources, supporting the local economy and promoting neighboring farms. We provide our clients an environmentally and socially conscious alternative when purchasing flowers. At Impact Hub Baltimore, we believe complex challenges will never be solved by one person or organization alone. We need to work together. That’s why we set out to build a thriving, diverse community where people collaborate across sectors, networks, and neighborhoods. Next Day Animations is a Baltimore-based animation company, specializing in explainer animations that communicate complex ideas quickly. Using custom artwork and persuasive scripting, we create compelling animations that drive action. Past partners include the Annie E. Casey Foundation, Maryland Citizen’s Health Initiative, and Morgan State University. Like most small businesses Pangea Printing started as a hobby that grew beyond our imagination. From screen printing to laser engraving we’re always open to trying out new processes and techniques to get you what you’re looking for. Thread Coffee is a women & queer-owned coffee roasting company based in Baltimore, Maryland. We are a worker-cooperative and use a transparent model of trade, buying coffee directly from farmers we want to be in solidarity with.